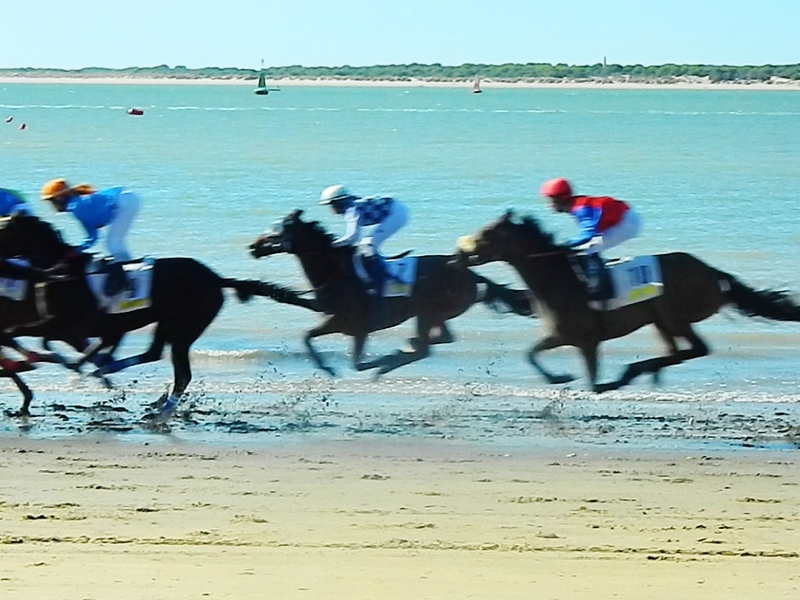 Each year in August, the city of Sanlucar holds horse races on the beach. 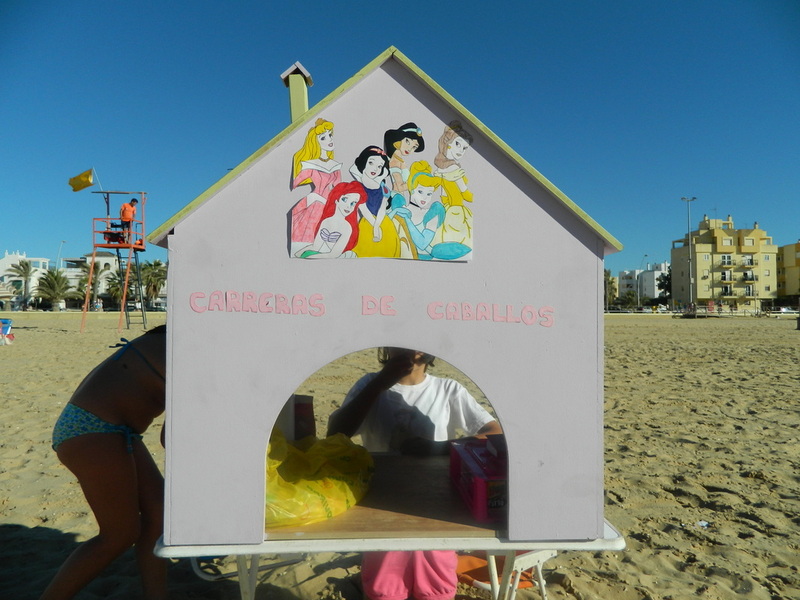 Sanlucar is just a half hour from Rota, and an easy jaunt to take in this special event. 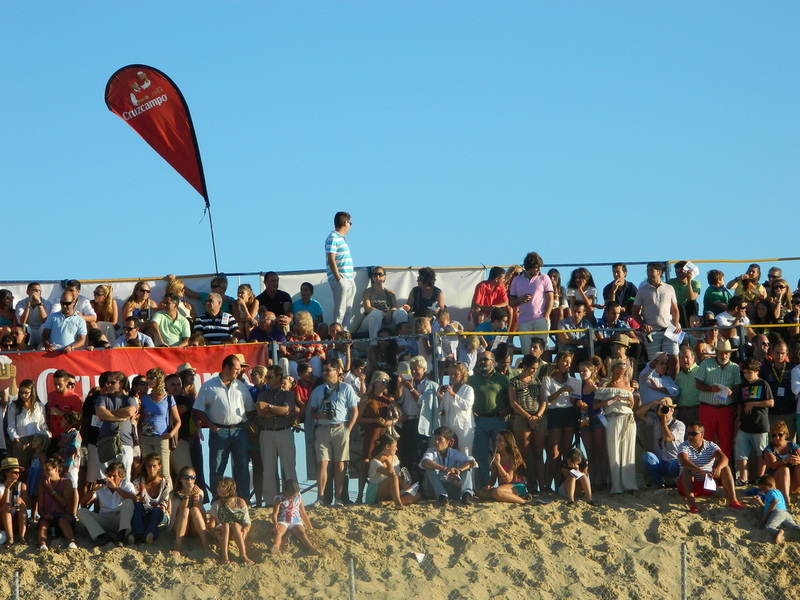 The races are held 6 evenings out of the month, at low tide. This events really draws out the crowds. 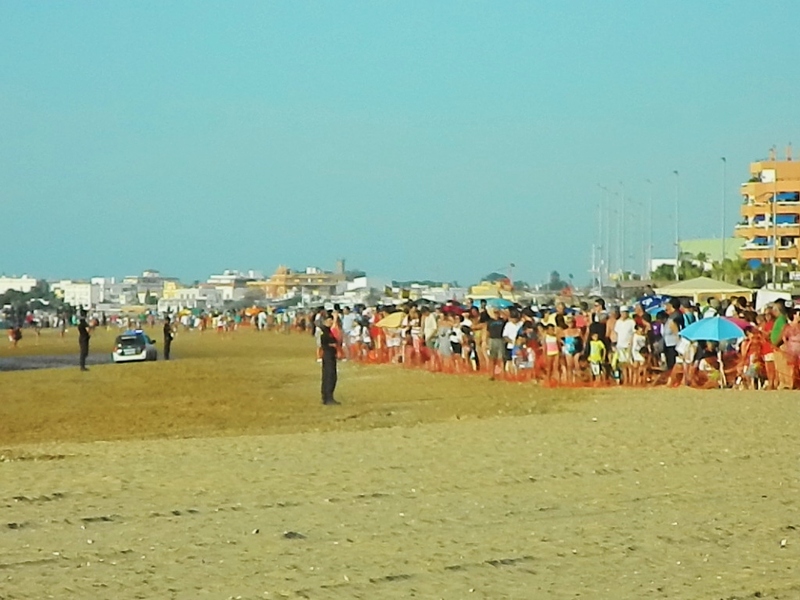 Starting at 6PM, police start clearing the beach in preparation for the races. The course is about a mile long, so the races are quick. Then there is about a 30-minute period between each race, (on "Spanish time" it was really closer to 45 minutes). On-lookers are corralled behind a makeshift mesh fence to watch the race. Families camp out all day at the beach in anticipation of the races. 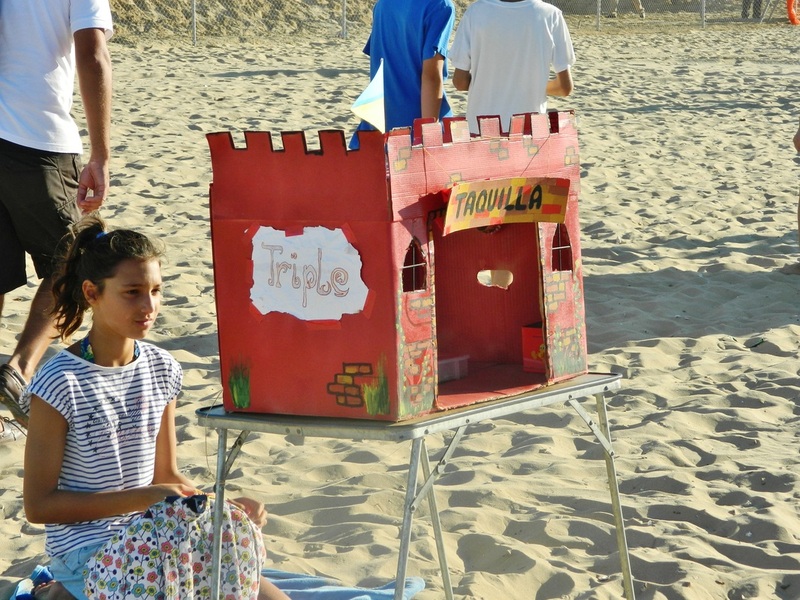 At the large grandstand near the finish line, there is a building where it appears people can go in and place real bets on the horses, but all along the beach, children set up their own "betting booths." You go to their window, tell them which horse number you want, and give them whatever amount of loose change you feel like "donating." Most of the kids had prepared little paper tickets on which they wrote the horse number we picked to win, and the amount of the bet. Some gave out little candies with each bet placed.